Attend Story to Screen Outdoor Movie Nights this June and July for a chance to win a Nintendo Switch bundle! Celebrate reading and fun with HPL at our “Story to Screen” events. 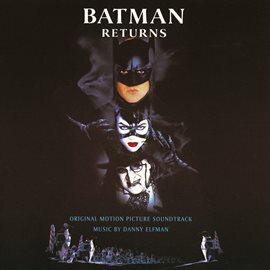 The bat, the cat, and the penguin duke it out in this 1992 cult classic. The evening will feature a Batman racing game from Arcade Games of Houston, the Moon Rooster food truck, and 1992 chart-topping hits from HPL's own in-house DJs! Level up in the name of love with this 2010 epic film based on the popular graphic novel series. The evening will feature rounds of Guitar Hero provided by Arcade Games of Houston, the Moon Rooster food truck, frozen treats from Fat Cat Creamery, and music from HPL's in-house DJs!